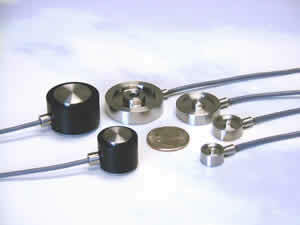 Aug 18, 2011 Transducer Techniques offers a group of highly accurate small load cells and force sensors. The MLC Series compression only load columns are offered in several ranges from 2,000 pounds to 30,000 pounds. The SLB Series compression only miniature load buttons range from 25 pounds to 1,000 pounds, and the THA through THD Series compression only thru-hole load cells range from 50 pounds to 50,000 pounds. The accuracy specifications for Linearity, Hysteresis, and Repeatability are consistent with highly accurate strain gage based load cells.